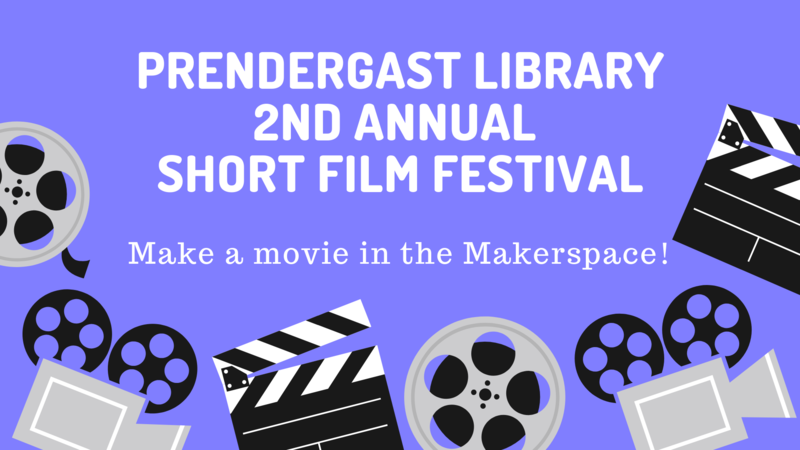 The Prendergast Library invites film-makers of all ages and abilities to participate in the library’s second annual short film festival! Submitted films must be five minutes or less, and must be created for this festival. Participants are encouraged to use the library’s Makerspace or materials in the creation of their film. All films are due on February 11, 2019 by 5 p.m.
Click HERE for the complete festival guidelines. Films will be judged by age group – children, teens, and adults. A winner and runner-up will be named for each age group. Winners will be announced at a screening of the films, which will be held on February 20, at 6:30 p.m. Leading up to the film festival, each week will feature a film-related activity in the Makerspace, including stop-motion animation and filming with a green screen. Questions? Call the Information Desk at (716) 484-7135 ext. 225.